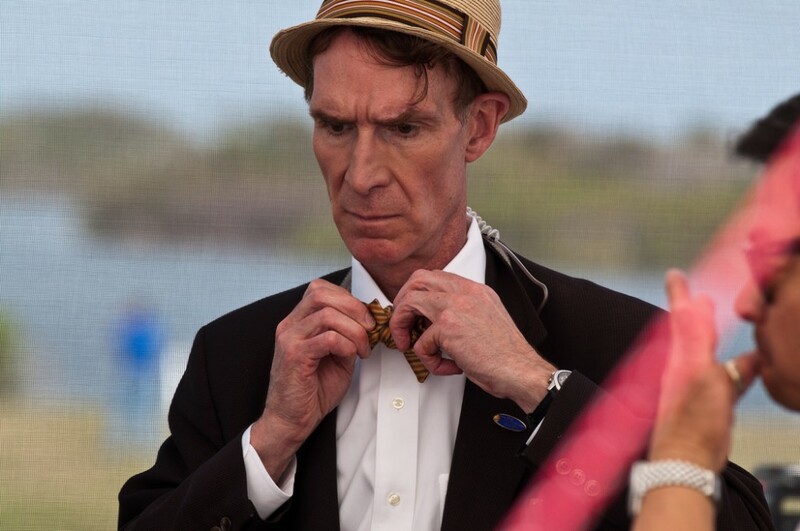 I’ve never been a fan of Bill Nye “the Science Guy.” Partly it’s because I’m from a different generation. I grew up with Isaac Asimov and Carl Sagan as my introduction to science, and Nye always struck me as a cheap substitute. I find something condescending in his hyperkinetic manner, as if science couldn’t actually be interesting and exciting in its own right, as if it could only be interesting if the guy trying to explain it to us is bouncing off the walls. It all seems like Science for People with Attention Deficit Disorder. So you get travesties like Bill Nye supposedly explaining evolution using emojis. It’s as dumb as it sounds, which is a shame given how important the theory of evolution is. All of that is harmless enough, I suppose—more a waste of an opportunity than any active kind of evil. If not for the fact that the “science guy” is out undermining the basic creed of science. Not all individuals who call themselves climate change skeptics are deniers. But virtually all deniers have falsely branded themselves as skeptics. All right, so who are the “deniers” and who are the mere “skeptics”? Will this committee issue us a list describing which objections to the global warming theory are scientifically valid, and conversely telling us which critics are the “deniers” to be blacklisted? Because that’s the only way the media can actually comply with their demand. Oh, and the name of this group: the Committee for Skeptical Inquiry. George Orwell, please call your office. Now here’s the twist on this story. It turns out that Bill Nye is himself a “skeptic” challenging the established scientific consensus on another issue: genetically modified organisms. This is described as being “much to the dismay of the plant science community,” and the justification Nye gives is more than a little vague: “although you can know what happens to any individual species that you modify, you cannot be certain what will happen to the ecosystem.” So to the “consensus” that says GMOs are safe, he replies with a vague wave of the hand: who knows, maybe you’re wrong. Somebody’s in a state of denial, I can tell you that. It would be easy to complain that they just don’t make public advocates of science like they used to. But my own generation of scientific heroes had their own blind spots. Sagan pushed the dubious “nuclear winter” theory—as if an atomic war wasn’t horrific enough on its own and had to be embellished—and was responsible for helping to launch the global warming dogma. Isaac Asimov bought into the overpopulation hysteria, hook line and sinker, declaring in 1988 that it was going to “destroy it all” for mankind. Since then, the global population has risen roughly from five billion people to seven billion. The US population has grown from less than 240 million to more than 300 million. In both cases, the average person is wealthier, healthier, and better off than they were before. I find it particularly amusing that Asimov used the analogy of people sharing a crowded bathroom, given that the average house is larger than it used to be, with more bathrooms, while the average family size is smaller. So don’t worry. There’s plenty of room in the bathroom. Sometimes, it seems like we need to save science from its popularizers. The lesson here is not that science is worthless or that its popularizers are frauds. Even geniuses can make errors and go off the rails, particularly when a theory seductively reconfirms their existing political prejudices. The history of science is full of bogus ideas and quack remedies that seemed to be the best “science” had to offer at the time. The unique achievement of science has been its ability to correct itself. Every conclusion is subject to testing and independent confirmation—and it is open to being overthrown by any cantankerous skeptic who can put together the data to disprove it. But this only happens when respected, famous figures—or some guy who’s been on TV a lot—don’t try to set themselves up as unquestionable authorities. It only happens to the extent that “skeptics” are not rebranded as “deniers” and then thrown out of the discussion. That’s what Bill Nye is trying to do, and that makes him an anti-science guy.